Come down to McCurdy Bowling to have some good old family-and-friends fun! 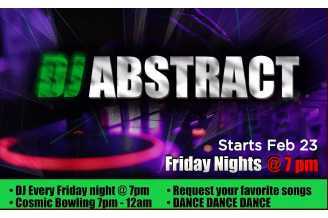 Friday nights starting at 7 p.m., DJ Abstract comes and plays the songs you request! Come enjoy some cosmic style bowling every Friday night.